Your home or property is your greatest asset, but it can also become a health risk or look unkempt when infested with wildlife, aquatic vegetation or insect pests. Your Wildlife Professionals, Inc. provides residential wildlife management, lake management, and pest management services throughout Virginia. Squirrels, birds, dead animals, groundhogs, skunks, raccoons, opossums, snakes, rats, mice, or bats living in your attic, crawl space, or yard can pose a health risk to your family, guests, and pets. A pond or lake that looks unkempt because of overgrown aquatic vegetation. 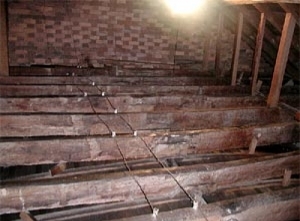 Or your crawl space or attic is infested with fleas because of wildlife living in there. If you have a home with a wildlife infestation, a pond overgrown with aquatic vegetation, or a wildlife related insect infestation in Alexandria, Arlington, Bedford, Blacksburg, Bristol, Charlottesville, Covington, Chesapeake, Danville, Fairfax, Fredericksburg, Hampton, Harrisonburg, Lexington, Lynchburg, Loudon, Manassas, Martinsville, Newport News, Norfolk, Richmond, Roanoke, Smith Mountain Lake, Staunton, Virginia Beach, Waynesboro, Williamsburg, Winchester, Wytheville, or Yorktown Virginia, please call one of Your Wildlife Professionals for a solution to your wildlife, lake, or pest problem. Our nationally trained staff includes Wildlife Biologists, Fisheries Biologists, and Wildlife Environmentalists. Your business is your greatest asset, but it can also become your greatest liability by having an unkempt appearance when infested with wildlife and pests. Your Wildlife Professionals, Inc. provides commercial wildlife management, lake management, and pest management services throughout Virginia. If you have pigeons roosting on your store front sign or English sparrows nesting in the trusses of your loading dock we can provide you with professional bird control solutions. Retention ponds or man made lakes full of aquatic plants often cause odor and mosquito issues. Squirrels, birds, dead animals, raccoons, opossums, snakes, rats, mice, or bats living in your commercial building can pose a health risk to your employees and customers. These animals will be humanely removed, the damages will be repaired, and your attic or crawl space will be restored to its original condition. If you have a commercial building in Alexandria, Arlington, Bedford, Blacksburg, Bristol, Charlottesville, Covington, Chesapeake, Danville, Fairfax, Fredericksburg, Hampton, Harrisonburg, Lexington, Lynchburg, Loudon, Manassas, Martinsville, Newport News, Norfolk, Richmond, Roanoke, Smith Mountain Lake, Staunton, Virginia Beach, Waynesboro, Williamsburg, Winchester, Wytheville, or Yorktown Virginia, please call one of Your Wildlife Professionals for a solution to your wildlife, lake, or pest problem. Our nationally trained staff includes Wildlife Biologists, Fisheries Biologists, and Wildlife Environmentalists. Industrial areas offer a variety of enviroments that have the potential to pose health risks when infested with wildlife, aquatic plants, and pests. Your Wildlife Professionals, Inc. provides industrial wildlife management, lake management, and pest management services throughout Virginia. Retention ponds can become overgrown with aquatic plants, such as cattails, algae, or hydrilla. Squirrels, birds, deer, dead animals, groundhogs, foxes, coyotes, skunks, geese, raccoons, opossums, snakes, rats, mice, or bats are often found living in the attics, crawl spaces, vacant lots or loading docks in the indutrial area and can cause costly damages if left alone. Your Wildlife Professionals, Inc. provides large scale wildlife trapping programs or integrated wildlife damage management, installs bird netting over loading docks to solve bird nesting problems, or prevent turkey vultures from roosting on top of buildings permanantly. These animals will be humanely removed, the damages will be repaired, and their bio-hazards will be removed to restored the structure to its original condition. If you have an industrial area with a wildlife infestation in Alexandria, Arlington, Bedford, Blacksburg, Bristol, Charlottesville, Covington, Chesapeake, Danville, Fairfax, Fredericksburg, Hampton, Harrisonburg, Lexington, Lynchburg, Loudon, Manassas, Martinsville, Newport News, Norfolk, Richmond, Roanoke, Smith Mountain Lake, Staunton, Virginia Beach, Waynesboro, Williamsburg, Winchester, Wytheville, or Yorktown Virginia, please call one of Your Wildlife Professionals for a solution to your wildlife problem. Our nationally trained staff includes Wildlife Biologists, Fisheries Biologists, and Wildlife Environmentalists. 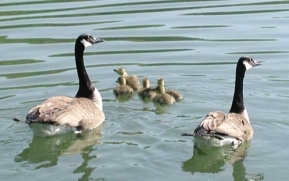 Municipalities, town, and cities often face wildlife, lake, and pest problems that need professional attention from the private wildlife and pest control industry. Your Wildlife Professionals, Inc. has provided municipalities, towns, and cities with wildlife management, lake management, and pest management services throughout Virginia. 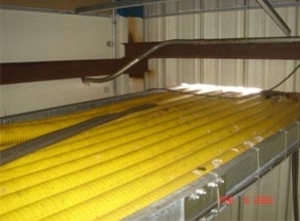 We are often called in to trap and remove large populations of pigeons, reduce deer populations to prevent vehicle collisions, repel geese from local parks, pick up and disposal of dead animals on the roadways, bats living in schools or other publicly owned structures, or to remove an over abundance of wildlife creating a human-wildlife conflict to a more desirable level that is acceptable to the urban enviroment. 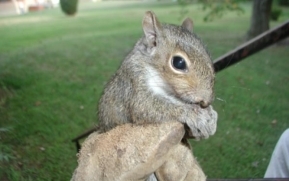 Squirrels, birds, deer, dead animals, groundhogs, foxes, coyotes, skunks, geese, raccoons, opossums, snakes, rats, mice, or bats are the species most commonly removed from municipalities, cities, and towns in Virginia. These animals will be removed during periods of low public activity and with the most humane methods available to prevent public out cry. If you are a municipality, city, or a town in Alexandria, Arlington, Bedford, Blacksburg, Bristol, Charlottesville, Covington, Chesapeake, Danville, Fairfax, Fredericksburg, Hampton, Harrisonburg, Lexington, Lynchburg, Loudon, Manassas, Martinsville, Newport News, Norfolk, Richmond, Roanoke, Smith Mountain Lake, Staunton, Virginia Beach, Waynesboro, Williamsburg, Winchester, Wytheville, or Yorktown Virginia, please call one of Your Wildlife Professionals for a solution to your wildlife, lake, or pest problem. Our nationally trained staff includes Wildlife Biologists, Fisheries Biologists, and Wildlife Environmentalists. Aerators, aerator parts, aerator repairs, algae, ants, aquatic algeacides, aquatic herbicides, aquatic weeds, bats, beavers, bees, birds, bugs, carpenter ants, carpenter bees, coyotes, deer, emerged aquatic weeds, fleas, floating aquatic weeds, flying squirrels, fountain pumps, fountain repair, fountains, foxes, groundhogs, lake dyes, lake equipment, lady beetles, mice, moles, mouse, muskrats, opossums, otters, pigeons, pond weeds, rats, skunks, snakes, sparrows, spider webs, spiders, starlings, stink bugs, squirrels, submerged aquatic weeds, roaches, termites, ticks, voles, wasps, woodpeckers, etc. are the issues we deal with the most. Urban wildlife, pest, and lake damage problems are increasing throughout Alexandria, Arlington, Bedford, Blacksburg, Bristol, Charlottesville, Covington, Chesapeake, Danville, Fairfax, Fredericksburg, Hampton, Harrisonburg, Lexington, Lynchburg, Loudon, Manassas, Martinsville, Newport News, Norfolk, Richmond, Roanoke, Smith Mountain Lake, Staunton, Virginia Beach, Waynesboro, Williamsburg, Winchester, Wytheville, and Yorktown Virginia. Population growth and urbanization are the factors in this trend. Urban wildlife, lake, and pest management has been left to the private sector due to decreased revenue or training to our localities and Your Wildlife, Pest, and Lake Management Professionals are here to help with those needs. 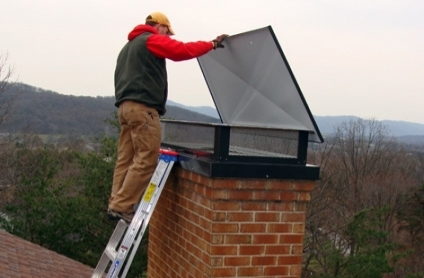 We will repair wildlife damages, install custom and standard chimney caps, seal homes completely to prevent wildlife and pests from entering, remove bird or bat droppings from an attic, install burial fencing, remove dead animals, treat your home for termites, or stock a pond with fish. “Wildlife Management, Lake Management, and Pest Management” are broad statements and so are our services. When wildlife, such as bats, mice, raccoons, rats, or squirrels invade your attic or crawlspace, they can create a biohazard or major health risk that will require Your Wildlife Professional to perform a professional attic or crawlspace restoration service. 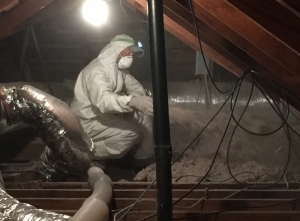 Wildlife that has lived in your attic or crawlspace for an extended period of time can contaminate your insulation with their urine and droppings. In some cases dead animals are the reason for your call because of the foul odor of the decaying animal. Stains in the ceiling or soffits of your home or business, from the urine and feces buildup, are the sign of a severe problem in most cases. Once the target animal(s) have been removed and all the necessary repairs have been made to prevent their return, you should really consider our biohazard cleanup services. Urine, feces, hidden dead animals in the insulation and disease causing parasites will be left behind. Exposure to these biohazards can pose a serious health threat to you, your family, employees, citizens, customers, or your clients. We are trained and well equipped to effectively remove these biohazards and dispose of them properly according to OSHA and federal health regulations. 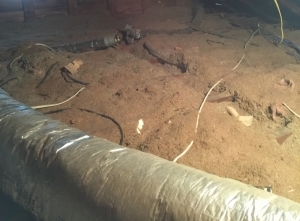 Once the bats have been removed and all the repairs to the current and potential bat entry points have been repaired to prevent their return, you should really consider our bat guano removal biohazard cleanup services. 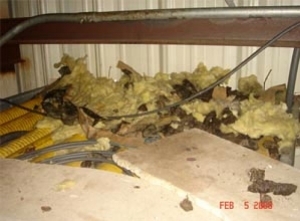 Bat urine, feces, hidden dead bats in the insulation, and bat bugs or parasites will be left behind. Exposure to these bat biohazards can pose a serious health threat to you, your family, employees, citizens, customers, or your clients. 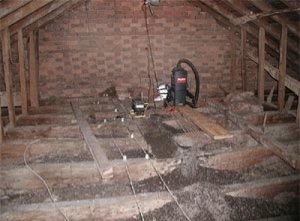 We are trained and well equipped to effectively remove bat guano in attics and dispose of it properly according to OSHA and federal health regulations.